This movie features a simulation showing the changes to a portion of Saturn's F ring as the shepherding moon Prometheus swings by it. 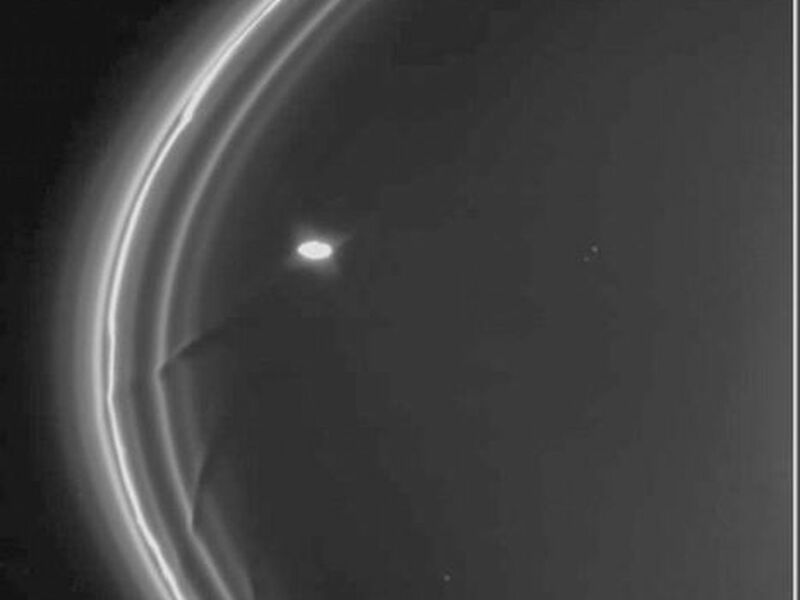 The animation uses data obtained by the imaging cameras aboard NASA's Cassini spacecraft. The abridged movie, "Dance of Particles in Saturn's F Ring," starts by showing the segment over an eight-day period just as Prometheus first passes by. It then jumps 60 days. We follow Prometheus's return for another four days as the moon interacts with this section of the ring again. This version of the movie also shows a sequence of images of the F ring, Prometheus and the moon Pandora, obtained by Cassini's cameras (see PIA07712). 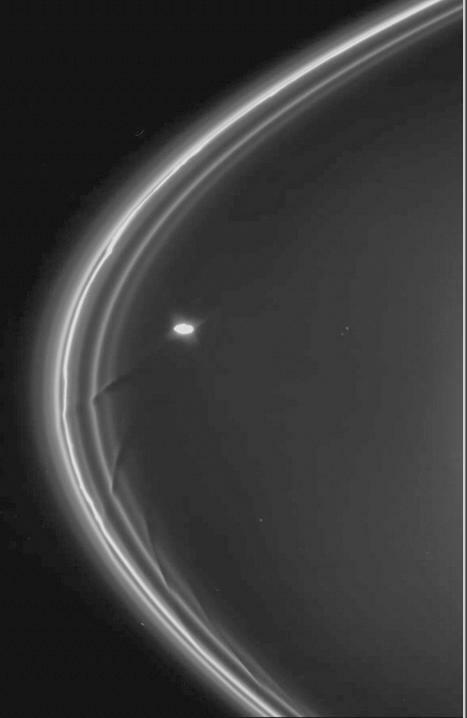 The gravity of potato-shaped Prometheus (which averages 86 kilometers, or 53 miles across, but is, at its longest, 148 kilometers, or 92 miles, across) periodically creates streamer-channels in the F ring. To learn more and to watch another movie of this process, see PIA08397. In the simulation, the ring particles bunch up and form clumps at the edges of the channels created by Prometheus. Each passage of Prometheus triggers the formation of objects at the channel edges, and these objects evolve with respect to the core of the F ring. These objects are likely clumps that are an integral part of the core of the ring rather than fully formed moonlets. 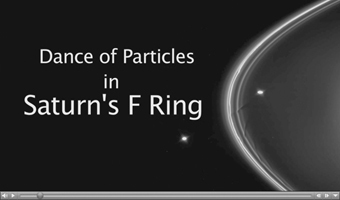 This simulation helps to explain the complexity of the structure of the F ring. 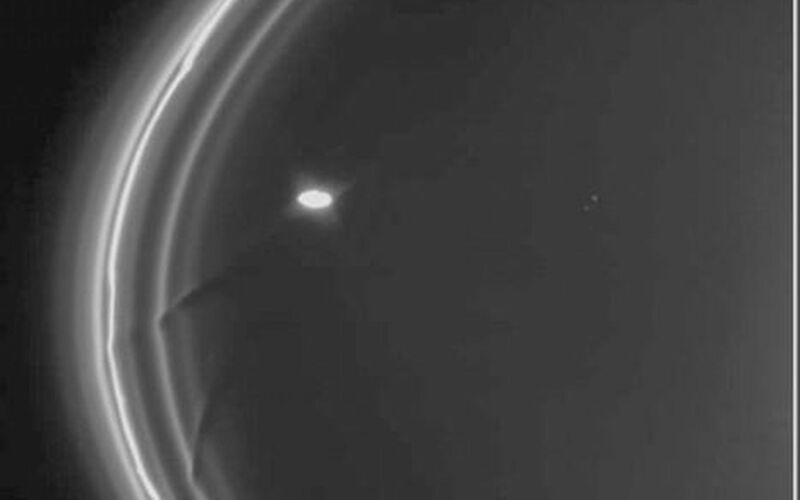 The animation was made by a Cassini imaging team member based at Queen Mary, University of London.